Getting into greenhouse gardening can be an ecologically and socially responsible choice. You will be eating fruit and vegetables that have grown in your own backyard. They have not been flown half way round the planet to get to your plate. What's more you did not have to drive to get them. You took a short walk and got some healthy exercise every day when you walked out to the greenhouse to check on them. We have got used to those convenient little packages in the supermarket. We like the idea of having our vegetables ready prepared and washed. But we have also got used to poor taste. The fruit and vegetables we buy in the supermarket have lost most of their natural sugars that give them their flavor. Even the varieties are chosen for their shelf life rather than their flavor. 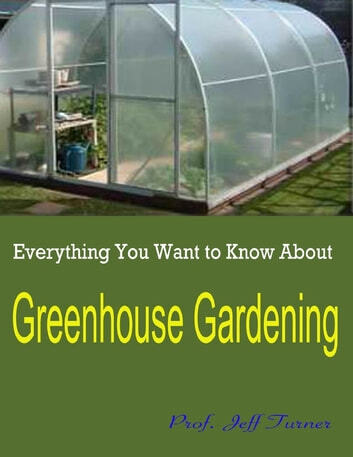 Get your copy of "Everything You Want to Know About Greenhouse Gardening" and get in depth knowledge of most of the aspect of Greenhouse Gardening including how to build low cost backyard greenhouse, what material are best etc. 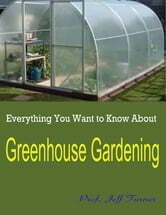 Greenhouse Gardening : Secrets of Building a Perfect Greenhouse, Tips for Growing Vegetables and Flowers All Year Round!